It’s not surprising to know that Holden is one of Australia’s most sought-after car brands and for good reason. Holden cars combine style and functionality, offering car owners a car that’s great not just to drive within city limits, but also for long drives. If you have a Holden car that’s seen better days that you want to get rid of, then what you need is a Holden Car Buyer in Brisbane. What you need is Cash For Cars Brisbane QLD. We are a car removal company that offers Cash for Holden Cars Brisbane. Get ready to be paid on the spot cash for your Holden car today. Holden’s a popular car brand here in Australia. The Holden Commodore has even managed to gain the label as the ‘all-Australian car’. But when a car becomes old or damaged, no matter how popular the brand is, selling the car can become quite a tough task. Private buyers are not interested in old or damaged cars. They’re looking for cars that are in perfect working condition. So, that leaves you contemplating if dumping the car in a landfill is the only option left. Not so fast! Contact Cash For Cars Brisbane QLD to sell your Holden car of any model or condition. We really mean it. We’ll buy your Holden car no matter what it’s a condition. In return, you’ll get paid cash for the vehicle. We’ll buy your Holden vehicle no matter what the model is. So, whether your car is Apollo, Astra, Barina, Caprice, Commodore, Cruze or any other model, we’ll buy it and pay you instant cash for it. Get Your Free Holden Car Removal Brisbane Today! What’s better than a Free Car Removal and instant cash payment for your Holden car? That’s what you get when you sell your car to Cash For Cars QLD. We understand that our customers are busy and don’t want to take one whole day off to get their car sold. And that is why we’ve made it possible for you to sell your car to us in under an hour. It’s true. With our complimentary services such as Free Cash for Car quotes, Free Holden Car Removal and Free paperwork, selling your car are no longer time-consuming or difficult. Our staff will take care of all the nitty-gritty details of the car sale, so you’re left with a quick and easy car selling process. Contact us for an instant car valuation for your Holden vehicle. 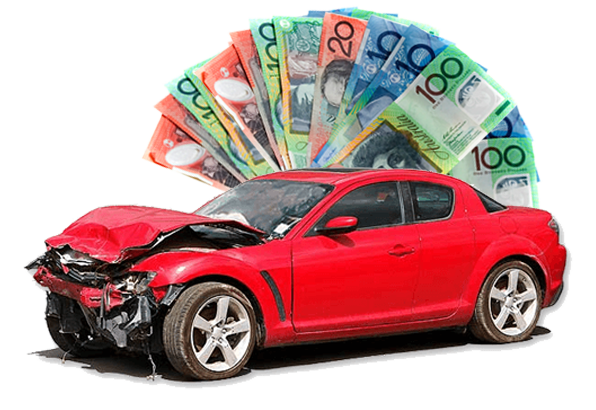 We will provide you with a Cash for Cars Holden quote based on the details you provide. Accept our Cash for Cars offer and let us know when would be a good time for our team to arrive at your location to collect and tow away the car at no cost to you. Why Sell Your Holden Vehicle to Us? We are a legitimate, licensed car removal company in Brisbane. We have many years of experience buying, wrecking and recycling Holden cars. We buy cars as they are. So, you don’t have to bother with fixing the car to sell it to us. We’ll buy the car as is – damage and all. We pay cash instantly. With us, there’s no delay when it comes to payment. We hand over the cash before we tow away your vehicle. We do same-day car removals anywhere in Brisbane, Sunshine Coast, Toowoomba, and the Gold Coast. Once you’ve made the decision to get rid of your car, you can do so immediately without delay. We have a team of highly trained and well-experienced car mechanics and tow truck operators to ensure quick, efficient and smooth car removals. No matter where you are located in our service areas, our team will come to you and carry out the car removal in 45 minutes to an hour. We’re known across Brisbane and the surrounding regions for our top cash for the car offers and quick services.